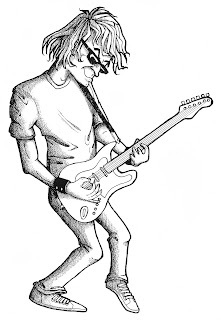 Ultimate Guest Blogging Guide To Make Yourself A Rock Star! Even though there are many ways out there to grab the attention of others to your blog, Guest Blogging is the most effective way to showcase your skills and to impress people, converting them into your loyal readers. Guest Blogging when did the right way can gain you awesome results way beyond your imagination. Okay, hit the break. Hi, I’m Amal Rafeeq [Zion] back from India and I thank Erik a lot for inviting me to be a host on NoPassiveIncome and giving me a chance to roll out an article to you guys through this wonderful job. I really hope this one will be worth reading. Let me not throw you off from the topic. Let’s roll. First of all let’s see why you must focus more on Guest Blogging. What are the benefits of Guest Blogging? Gives you quality back links. Make your affiliate sales go wild. Increases your Search Engine Rankings. And it goes on like that. How To Guest Blog the Right Way? Like I said before, you can only gain profits if you do it the right way and let’s see what are the exact steps to do so. #1: Lock on to the High Authorities. What’s the value of just rolling out your sweat breaking articles on blogs which won’t give you much as return? So stop killing your time by contributing your valuable time and content on blogs which doesn’t have a great audience. I’m not suggesting you to always go for A lists. But you have to make sure what you’re doing is worth it, always. As a regular blogger, you probably know the top read blogs on the sphere about your niche field. Prepare a note or type these lists into your computer. #2: Approach with a Smile. Okay, now that you got your eye at a high authority blog, it’s time you roll for the kill. The first thing to do is to make friends with the blogger. Don’t act like you’re contacting him for contributing a Guest Post on his/her blog. Act like you wanna keep in touch. After you’ve shared some talks and all, just shoot the idea of YOU contributing a guest post on HIS/HER blog. 99% of the answers will be “Yeah! Why not?”. I swear, I’ve been at this point several times. Okay, after the blogger have approved your request to guest post, set your account or ask them to make you one for you. #3: The BIG step – Delivering Perfection! Now that you’re fully ready to throw a content at them, it’s time you come up with a value factor. Don’t just write a boring topic that automatically makes the mouse pointer run to the close button of the tab. Shoot something that’ll force the reader to share with excitement and research more about you. The reason you Guest Post is to grab the readers from a blog and to put them on your hands. So make each post count. Read : How to Write an Article – Writing Tips from a Professional Writer. Every one are actually lame and lazy to look into guest posts they got in their blog and publish it after editing it. It requires time and effort. So why don’t you make it easy for them by doing all of it yourself. Follow these things You’ll rock it with the post. Come up with a Compelling Title for the post. Don’t even think about the word SEO. You’re blogging for the present readers, not for gaining more traffic to them. And titles are the door to each post. So make it mouse-attracting and you won’t regret it. Format the post well. Make sure you use subheadings, highlight the main words and type it in a readable way. Keep grammatical mistakes outta the way. Interlink to old posts. After you’ve completed your post, try to give links to old blog posts withing the blog with a reason. Add great Images. A picture tells a thousand words, so why don’t you tell 2 or 3 thousand by adding awesome images? Include an eye catching featured image and include another one on the mid portion. Prepare an Author Bio. Without this section, you’ve wasted your whole time on the post. Congrats if you’ve did this before. Prepare a bio-data of you which’s quite simple and explaining yourself. Make sure you link to your blog/website and social profiles so that one can contact you if they need to. These things will get your post published in no time at all. #4: Promote it like it’s the end of the world. Okay, after you got your post published, it’s time you put your part to promote it. I’d fire an Email pack through my Newsletter, Social Networks and directly to my top readers. I just love the word – “Engagement“. You’ll love it too. It’s a good practice to link to your guest posts from the new blog posts which you’ll write. So that things will go in a cycle. Whoa! That’s all I got. I hope you made it useful. And thanks a lot for reading this 860+ worded article. I really respect your patience 🙂 ! Don’t forget to comment what’s on your mind before leaving. Thanks again. Yeah, agree with the benefits of guest blogging and even am familiarize with it too. I started my self hosting domain in the month of Jan this year and as of now, I completed 15 GPs. Feeling good that I had written 2 Guest posts for Erik sir (One here and other for Fillmymoneybox) and I promoted it well as you told. Both posts became popular among the readers and gained more comments. Am following most of the tips which you’ve listed here for submitting my guest post, will follow the missed ways. great article. definitely it will increase new blogger’s performance and will make him famous in online media. above all it is a great way to express yourself infront of others. thanks for sharing the article among us. Awesome tips, especially for someone who is considering eventually getting into guest blogging. I have hears so many people talking about the benefits about guest blogging. Yet I keep dragging my feet on it. I haven’t written any guest posts yet…but this information will help me when I get ready to. Thanks for sharing these tips…they will help me and anyone else who wants to get into guest blogging. Thanks for diving into the post. So the post worked, right? 🙂 I’m happy for that. You’vent started Guest Blogging? Well, I think it’s time you do em’ mam. Good luck implementing them. Don’t forget to come back and drop a query if you have one. These tips are useful not only for newbie bloggers but also for experienced bloggers.For the guest post to be accepted the content should no doubt be clean and thoroughly researched and in the end promoting it is the right thing to do .Thanks for sharing these tips. Glad to hear that you liked them. Exactly! And, it should have to be a reasonable one too. Guest blogging is always a good way of creating image online. That will help you to get lots of traffic through this activity. This is very useful post with many valuable information for someone who wants to be a blogger. I think ít’s really a good review for people who’s blogging. Guess blogging can make a lot of benefits and more interesting post you write, more traffic and viewer you will have. You got it right. Thanks for being here. Please throw me a question if you have one. every one want to be rich in the whole world. Thanks for sharing some useful information on Guest Blogging. Yes, I do have experienced that guest blogging gives us good backlinks and also traffic. We will also get good reputation and value for us blog from their readers. It is beneficial to submit content on high authority sites in order to generate quality backlinks. While guest blogging don’t link with same keywords again and again, try to bring keywords variation and use long tail keywords to make your links looks natural. Guest blogging, if done correctly, can turn a new blog to an instant success. If done regularly, it can boost traffic, backlinks, social following etc. 5 to 20 guest posts a month on regular blogs. Blog syndication is also a great way to find authority blogs, right? Great post. It covered all vital guidelines associated with guest blogging. Yes, I agree with the title. If one implements these strategies religiously, he/she will become a guest blogging rockstar! This post is a timely one for me. Because I’m all set to go out for a guest blogging campaign. So these advice from experienced guest campaigners mean a lot to me.